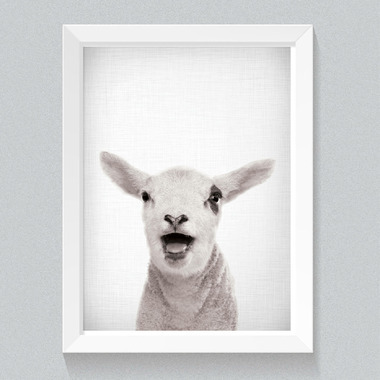 These darling black and white photography prints are the perfect décor addition to any new nursery or child’s room. mavisBLUE's 11 in. x 14 in. 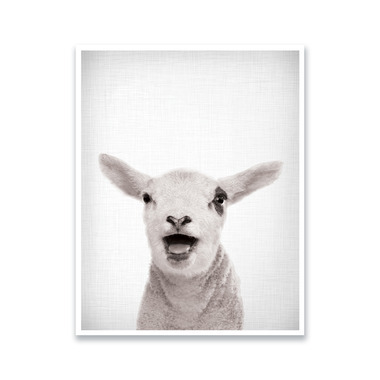 cute, whimsical and playful baby sheep is adorable in front of a light grey burlap patterned background.